Offering you a complete choice of products which include boats ceramic crucible, cylindrical crucibles and high form crucibles. 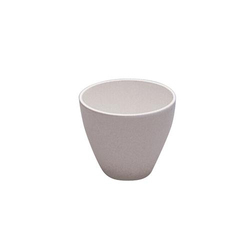 Our clients in the best possible manner we are involved in offering to our clients Boats Ceramic Crucible. Our products are highly recommended amongst the clients for their superior finishing and reliable nature. These are used for reacting chemicals and for various experiments. Additionally, these have long life and ability to resist high temperature. wide range of Cylindrical Crucibles. These are developed using best quality raw material which we sourced from the trusted vendors of the industry. Offered products are cylindrical in shapes and are used in various industries. In addition to this, we also assure safe and timely delivery of our products. Wide range of High Form Crucibles. Our products are highly acknowledged among our clients for their various attributes such as high efficiency, reliability and optimum quality. 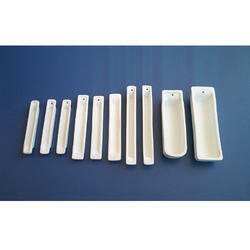 These have good thermal stability and are available in different sizes as per the customers needs. We also assure to diver our products in a fixed time frame.